Jeet Kune Do is pretty popular in fighting games today, there is at least one game character using this Martial Art style developed mostly by Bruce Lee. 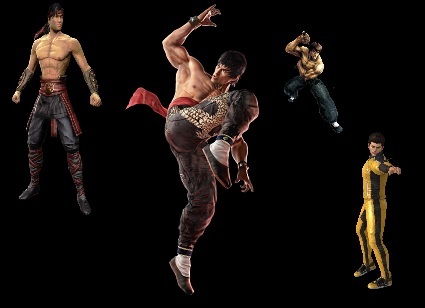 Many of the game characters are also visually looking similar to him and are referred to as Bruce Lee Clones sometimes. The first one of this kind was Liu Kang, introduced in the first Mortal Kombat game in 1992, one year later Capcom released Super Street Fighter II with Fei Long who looked even more like Bruce Lee and had some of his more popular moves shown in the movies. A year later in 1994, Namco’s Tekken was released with Marshall Law who started to be basically the digital incarnation of Bruce Lee with Tekken 4. Jeet Kune Do is based on different Kung Fu styles, especially Wing Chun but also combines with Boxing and Fencing techniques.